RAM is popularly known as Ramdom Access Memory, which plays a good role in our gadgets and other intergrated computers. Sometimes, you maybe encountering unknown popup on your android, like "Sorry Application has Stopped", or other related notifications, this problems is detected due to the shortage of RAM memory of your device. I would brief you guys on some few benefits of the RAM before proceeding to the topic of the day. - The RAM helps in terms of multitasking in our device, by fasting the procedure. - The RAM also helps in terms of internet surfing. With low RAM, I bet you, no matter how fast your internet connection it, without upgrade of the RAM memory, it would lead to poor internet connections. Due to the low RAM most internet users have on there device, it fails them to connect the internet at high speed, that's one of the reason if I post any Free Browsing Tweak, there would always be a complain of slow connection. This problem is caused by your the RAM of your device. - The RAM memory also helps in the Enhanced printing of your files. - With a High RAM Memeory, your video editing is fun and being optimized to the fullest. - A Higher RAM memory also helps in terms of gaming, by boosting the speed of the game play. - Good RAM Memory also helps in terms of computer networking. This method is actually a cool method for those who havn't rooted there android device. Simply follow the below tips to boost the RAM memory of your android. - Avoid the use of Live wallpaper on your Android device. With this, you stand the chance to boost the RAM of your android device, because the use of Live wallpapers shortenes the RAM memory of our device excessivelly. - Avoid the running of unnecessary apps. If you keep running apps that's not in use then it reduces the memory of your RAM. Simply force the apps to close by moving to settings-> Apps, then close those apps that's not in use from there. - You can also force the close of bloatwares apps with the above procedure. There are lot of third party apps that helps to boost the RAM memory of any android device, but I would highlight the Top-4 amongst all. This is a cool Android RAM expander app that helps to boost the RAM memory of your android device and one of the most reliable apps in tems of RAM management. This app works mostly on rooted android device. You can Download the cracked version of Roehsoft RAM Expander here. The Smart RAM booster is another reliable app that helps to increase the RAM memory of your android device, and this app works on non-rooted android device. With just one click, the Smart RAM booster gets to increase the RAM memory of your device. You can get Smart RAM booster from here. It's commonly known that the RAM Manager pro is the most effective android app that helps in terms of RAM memory management on our androids. With the RAM Manager pro, you get to double the RAM memory of your android device which actually improves the speed and effeciency of our androids. You can get the RAM Manager Pro from here. It works mainly on rooted android phones. This is another impressive android app that controls the RAM memory of our androids. With RAM control Extreme, you get to boost and moderate every activities relating to the RAM memory of your androids. This app works on non-rooted android device. You can get the RAM Control Extreme from here. 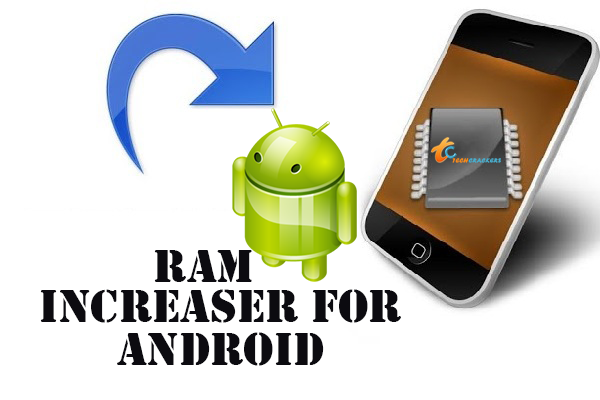 Following the above methods, helps to boost the RAM of our android device and increases the effeciency of our android device. Hope this helps? Simply share this lovely tutorial to your friends on the social networks with the help of the share buttons below, you can also help by liking the topic and also bookmarking it. For more android related tutorial, you can check-in our android section for more android tips. Pls, do specify the visaphone modem, and the imei?